The article titled “Roadmap for Nationwide Geospatial Data Sharing” was featured on Trajectory, the official magazine of USGIF. It discusses the importance of using GeoCONOPS as a reliable source to support homeland security, public safety, and emergency management. “GeoCONOPS, overseen by the Department of Homeland Security’s (DHS) Geospatial Management Office (GMO), is a strategic roadmap for national, state, local, private sector, and academic stakeholders to coordinate geospatial information, share data and tradecraft, and communicate in support of homeland security, public safety, and emergency management”, according to the article. The International Association of Fire Chiefs (IAFC), Florida Fire Chiefs Association, Florida State Fire Marshal, and the National Alliance for Public Safety GIS Foundation met on November 3rd at the Orange County Fire Rescue Division Headquarters for the Hurricane Irma SAR GIS Hot Wash & Workshop. This workshop provided an opportunity to debrief on lessons learned from just-in-time training and the use of field information collection tools and incident commander dashboards for supporting SAR and ESF4/9 mutual aid during Hurricanes Harvey and Irma. Additionally, this workshop focused on gathering feedback from those who received training and access to the suite of tools provided by the IAFC and NAPSG Foundation in an effort to inform their evolution and better address the core requirements identified to support their critical missions. View workshop materials available here. To learn more about the NAPSG Foundation SAR GIS Working Group, visit: http://arcg.is/1LuO9L. 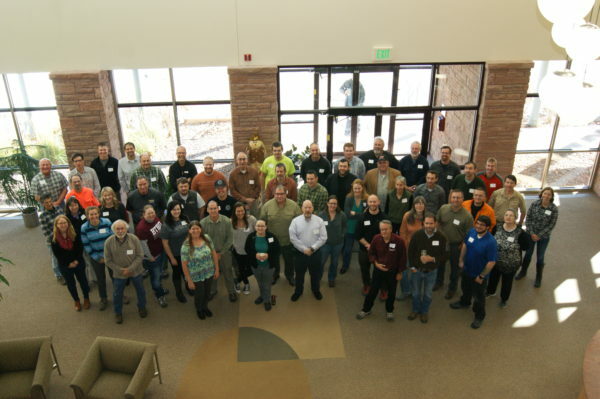 Over 50 Search & Rescue (SAR) leaders and GIS responders gathered in Broomfield, CO from November 6 through November 8 for the 9th annual SAR GIS Workshop. The purpose of the workshop was to build capacity and advance the use of location and analytics-based decision support tools across the SAR community for missing persons and disaster SAR. The second and third days of the workshop included practical hands-on training that provided the opportunity for participants to develop knowledge, skills, and abilities in the latest GIS technology capabilities for SAR. The workshop culminated with a field-based and hands-on exercise where participants stressed tested the latest technology and new skills in a wide area SAR scenario. NAPSG Foundation will be publicly publishing the workshop materials in late November. To learn more about the NAPSG Foundation SAR GIS Working Group, visit: http://arcg.is/1LuO9L.